Northern Ireland’s first integrated school has been completely transformed thanks to the refurbishment and addition of a large new extension. 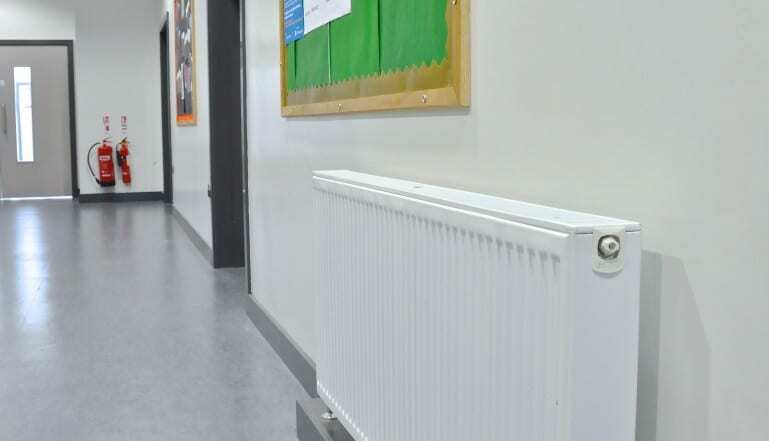 Stelrad Radiators have been used extensively in the college to provide much of the heating for students and staff in the colder months of the year. Lagan College, located in the Castlereagh Hills, is the largest integrated college in the province, catering for a long-term enrolment of 1,200 pupils. 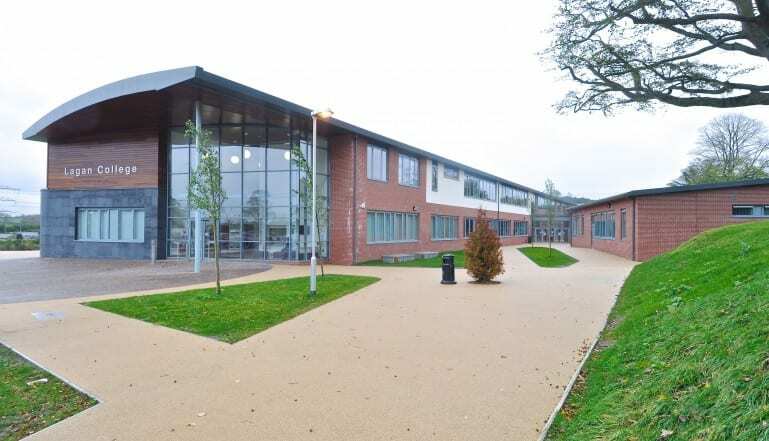 As part of the project, the existing school buildings were retained and refurbished before integrating these facilities into the design and construction of a significant new build. The new facilities comprise a media suite, extended Sixth Form provision, bistro, canteen and café area, sports hall, fitness suite and music and music technology suite. In addition a multitude of general classrooms all ICT equipped, a dance/drama studio, sports pitches and a new school Chaplaincy were also added. In all, the project encompassed over 10,000m2 of new build as well as the refurbishment of approximately 5,000m2 within the existing school – all on a fully operational campus. Mechanical contractors, Sharpe Mechanical, moved in during the summer holidays to fast-track the mechanical installation within the existing school before moving onto the refurbishment once the pupils returned in September. The standalone system installed into the new extension includes low temperature hot water delivered via cascaded gas-fired boilers, direct gas-fired water heaters for the domestic hot water load, air handling units, rainwater harvesting and a complete sanitaryware package. A mixture of radiators and radiant panels have been utilised throughout the school to provide the necessary heating. The Stelrad Compact radiator was specified to help deliver comprehensive performance matched by safety at Lagan College. Compact from Stelrad is the UK’s best-selling and most comprehensive range of compact radiators. It offers all-round dependable quality and performance, and it comes complete with a 10-year Manufacturer’s Warranty and a quality paint finish that further enhances its value for money credentials. The elegant, integrated top grille and side panels have been specifically designed to eradicate any movement, providing a tight, professional fit that will remain in place, even after storage, transit and installation. “The Compact offers a superb alternative to the round top and it is a style of radiator that is becoming increasingly popular within commercial projects, particularly the education sector,” explained Ian Anderson, Stelrad’s Business Development Manager for Northern Ireland. Outside of Lagan College, Castlereagh Hills.